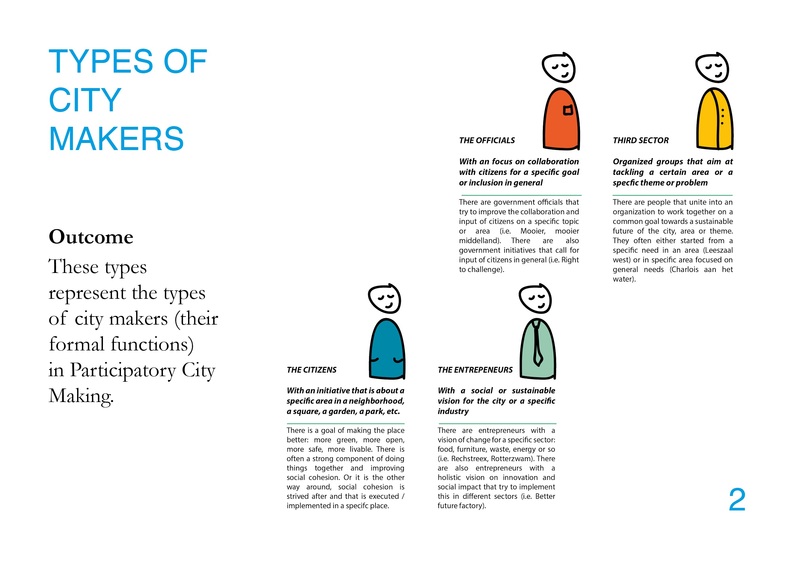 Traditionally, there are different type of actors identified in city making. However, this makes the divide between citizens and government quite rigid. Therefore, we made another categorisation based on roles. These roles are much more about what people actually do in city making, regardless their formal function of civil servant, private entrepreneur, social initiative taker or single citizen. 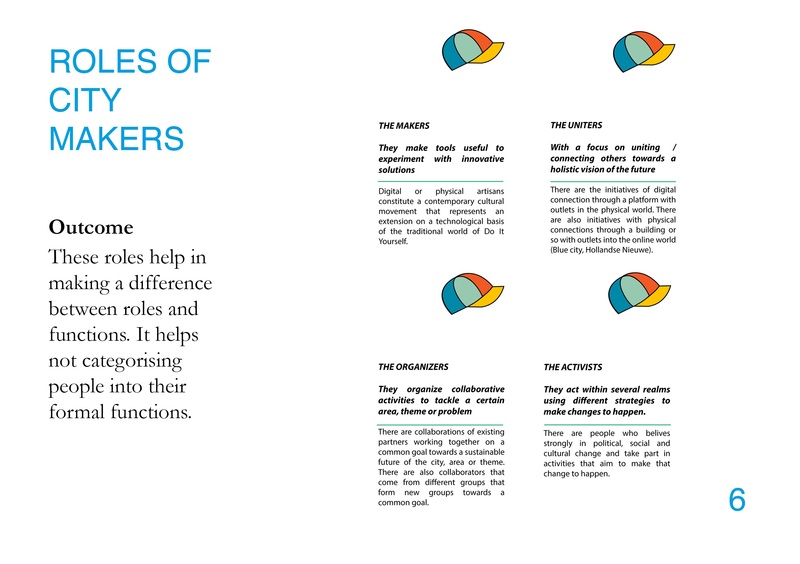 The roles we identified are: the makers, the uniters, the organizers and the activists.